← It’s 2019: What Should Your Social Media Marketing Look Like? Content Writers Are In Demand in Portland! It’s no secret that Portland is one of the hottest cities for cool new tech start-ups, burgeoning artists and some of the best restaurants in the country. But this hip Pacific Northwest city is also a Mecca for writers who have the skills and knowledge to help grow the online presence for any business. According to Glassdoor, content writers in the Portland area can expect to earn an average of $49,521 annually. Portland copywriters can expect to earn just over $54,000 on average each year. While content marketing managers earn an average of $75,507 annually in the greater Portland area. Now that we are well and truly into the “information age” it only makes sense that so many companies around the world understand the need for high-quality content. Did you know that copywriting and content writing are expected to see a growth rate between 8-9 percent over the next five to ten years? In fact, research shows that content marketing jobs have already increased by a staggering 33% between 2017 and 2018. A Portland continues to be a target for some of the hottest companies in the US, local writers are more in demand than ever before. Whether you work on a freelance, part-time or full-time basis, the opportunity to make a living as a writer in Portland gives you the freedom to enjoy the best that the Pacific Northwest has to offer. Top online job markets like Indeed and Glassdoor typically update their database with several hundred writing jobs in the Portland area each month. Whether you’re considering a new career path or you’re looking to stay competitive in the content marketing arena, this welcoming and beautiful city won’t leave you searching for new job opportunities for long. While most people think of rainy days and a wide variety of breweries when they think of Portland, the city also has a great academic presence. 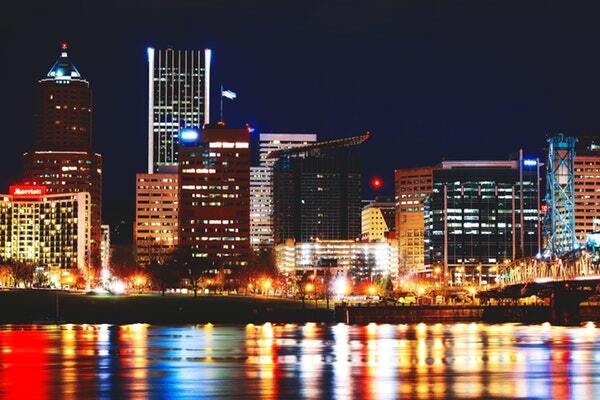 The city is home to several colleges and universities including Portland State University, Oregon Health & Science University, Lewis & Clark College, Reed College, and Portland Community College. Writers here can take their pick between a wide variety of innovative and creative higher education institutions to hone their craft and network. Portland Writer’s Workshop Meetup, ongoing. This popular Portland writing community can be found on the popular website meetup.com. They gather twice monthly for workshops, creative exercises focusing on both fiction and non-fiction, and lots of group writing time. Other popular writing meetups in Portland include Willamette Writers (a non-profit that meets monthly), and The People’s Ink: A Writers Workshop (weekly meetings welcoming writers of all skill levels). PDX Writers, ongoing. Here, writers can find a number of different craft and prompt-driven workshops that are suitable for all skill levels. Choose from weekly drop-in workshops, writing retreats and more. AWP Conference, March 27 to March 30, 2019, Oregon Convention Center. AWP is the largest literary conference in North America and an essential annual convention for writers, editors, publishers, teachers, and students. Attendees can expect to immerse themselves in four days’ worth of insightful dialogue, networking opportunities, and unprecedented access to many of the organizations that matter most in contemporary literature. Willamette Writers Conference, August 2 to August 4, 2019, Sheraton Airport Hotel. Writers are invited to attend the 50th annual Willamette Writers Conference featuring three full days of writing, Master Classes, intensive workshops, and more. Additionally, you’ll have the chance to develop your craft, sit in on critique sessions and even meet with top industry managers and producers. Whether you’re looking to network with other professional writers in Portland or you’re interested in honing your craft, the city has plenty of opportunities available to writers of all skill levels. Write Around Portland, check website for more details. These high-quality creative writing workshops are unique in that they are participant centered. Participants can sign-up for workshops that last anywhere from 2 to 10 weeks and focus on everything from building your strengths as a writer, generating new writing and more. Blackbird Studio, check website for updates. Led by NYT bestselling author Jennifer Lauck, classes at Blackbird are all about helping writers dig deep within to find their story and craft works of art that have a lasting impact. Participants will benefit from small class sizes, one-on-one work with their instructor, and MFA level literary studies without the MFA price tag. These agencies help to keep the content flowing for readers across Portland and beyond. Check out a few of the best digital marketing agencies in Portland who are regularly looking for new content creators to join their team. WriterAccess, that’s us! Based out of Boston, we are the leading provider of writing services for more than 25,000 customers and powered by a community of 15,000+ freelance writers, editors, translators and content strategists. We’re always looking to hire professional freelance professionals who have the skills and expertise to help businesses grow organically—the content marketing way. We’re also getting ready to expand to 5 countries over the next few months, so be sure to APPLY NOW! Scripted, this digital content platform helps freelance writers connect with businesses and agencies on the hunt for new talent—marketing, content creation, and more. Skyword is a collaborative content marketing platform focused on creating content for major brands including Anthem, Tom’s of Maine, IBM, and more! Now is the Perfect Time to Join Ranks with Some of the Best Writers in the World! When it comes to writing and the arts, there are few cities in the country that are more welcoming than Portland. Whether you’re just starting your career as a writer or you’re interested in taking your independent business to new heights, this is an ideal place to hone your craft and network with other great writers. Best of all, you can work with and hire the best Portland writers here at WriterAccess! 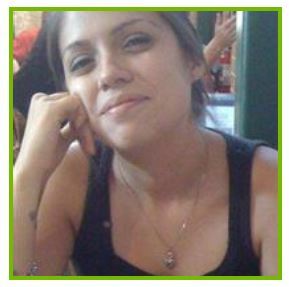 Selena R is an avid music fan who enjoys checking out local bands in Portland. She also enjoys reading, sewing, and being outdoors. Living so close to the coast allows Selena to spend a great deal of time at the beach, which is a real treat! Selena began working as a freelance writer in 2012 and to-date she has sold more than 1.5 million words to satisfied clients across multiple platforms. She has a knack for getting through to readers with an informative yet casual tone, presenting clear and readable content that keeps them coming back for more.